In the 1970s, as the country’s post-war love affair with socialism began to sour, a new type of think tank opened its doors in Britain. 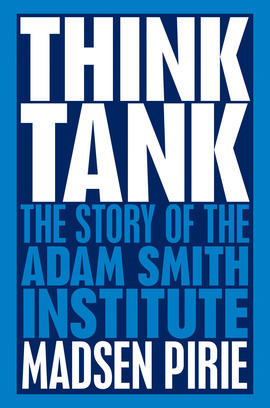 Spearheading a rejection of state planning and controls, the Adam Smith Institute helped to put incentives and enterprise firmly back into the political mainstream. Its influence was extraordinary, even revolutionary. Britain’s new passwords became opportunity, aspiration and the free market. With no backing and no resources save their own conviction, a handful of motivated individuals managed to play a role in transforming the prospects of a nation. This is their story. Think Tank is a book that every organisational entrepreneur ought to read to learn how vision can turn into reality even on a shoestring.